Facebook users: do they turn up at polling booths in India? An Indian national daily newspaper carried an interesting article recently, on how Facebook users can change the election results in India. It spoke about the impact on digital campaigning that political parties in India were adapting in order to woo supporters. Based on several sources on Facebook statistics, it would be safe to assume that an average of 60 million people (approx. 5% of Indian population) from India are on Facebook and it would be safe to assume from various other data sources that at least 50% of them are youth and most of them are educated middle class Indians. Similarly, on an average, from popular news reports it is evident that the voter turnout during elections is between 70 to 75%. However, it is most often criticized that these voters are mostly from the poorer strata of Indian society (both rural and urban) and the numbers constitute very few educated Indian middle class. Further, Indian middle class are also constantly criticized for being armchair critics. How many of these poor who vote are on Facebook? While numbers at a top level may seem to be significant, they lose significance when diving deep to understand the constitution of the group which finally decides Indian political leadership. 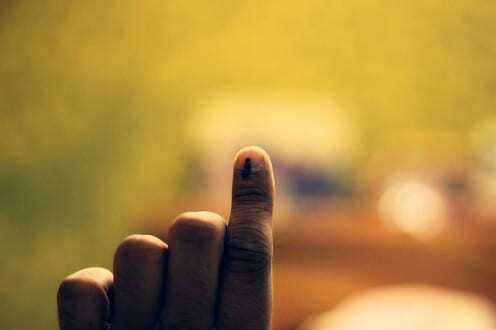 While it is definitely interesting to see the digital campaigning strategies adopted by political parties, these only constitute 50%, the rest is on making sure that the impact created by these strategies turn into votes. It would be interesting to see how many of these Facebook users turn up at the polling stations, which would truly demonstrate the impact of digital campaigning. “Orkutization”. Such a weird sounding word. Unless you are a middle class Brazilian who spends a lot of time online. Then that should be part of your daily vocabulary. Orkut was to Brazil what AOL represented to the United States: the first opportunity for a lot of people to experience online communication and sociability. Orkut is a social networking site named after its creator, a turkish software engineer from Stanford working at the time for Google. It was released in 2004, a month before Zuckerberg launched Facebook. In similar to Facebook among US college students, Orkut initially imposed a restriction that limited participation to those who had an invitation. For different reasons, Brazilians joined massively and soon became its largest group. Orkut arrived in Brazil at the same time as the country experimented with a process of rapid internal social change. In the past 20 years, around 50 million Brazilians – roughly 25% of the country’s population – moved out of poverty and started consuming goods. As computers became more affordable, these new consumers started appearing on Orkut. And as their presence grew, it gradually drove away the early adopters who felt annoyed by the new comer’s boisterous behavior and “lack of manners”. The same process happened in 2008 with Twitter: its early adopters made it a cool place to be, which, in turn, brought in loads of users from Brazil’s “new middle class”. It was then that term “orkutization” was coined and began circulating. As it should be clear now, “orkutization” is a derogatory term. It describes the massive arrival of these new users to an online space originally occupied by the wealthier online elite. After Twitter, it happened to Facebook and more recently to Instagram. Claims that an online destination was “orkutizatized” spreads together with collections of examples of the newcomers’ claimed lack of manners. These collections could have, for instance, a list of spelling mistakes or over-sexualized photos. It is important to notice, though, that such collections are carefully prepared to exaggerate certain aspects and ignore others. Its purpose is to ridicule by implying this exaggeration is true.